1) BEFORE you contact us, make sure that you are have all the information necessary ready to give us to book a call out. Basically we organise the control of the pest - you supply all the necessary information about the infestation.. see T&C under "Your Obligation". 2) If you cannot get through by phone and have left a message, then we will contact you within minutes. 3) During the initial phone conversation we will try to establish the extent of your problem and give you an estimated price. We will need to know what town you are in, what pest you are reporting, where in the house or garden you have seen them and roughly how many (e.g. a few or lots). After that who will be present at the premises and who will be paying for the service. 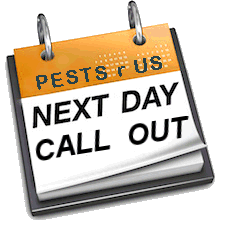 We will then ask you (if you want to go ahead) to email us with your full address including postcode, and a day and two times that would be convenient for you, for a pest controller to call. 4) We do not conduct business via SMS, Text, WhatsApp or mobile phone. So to avoid confusion, spelling mistakes etc, all business is confirmed by email. We send you a confirmation email with everything that was discussed, the appointment date and time, the final price, the details of the treatment we will provide, the pest controllers name and the vehicle they will be driving. 5) Payment can either be Bank to Bank through IBAN (please allow 3 days for payments to clear) or cash on the day if there is no time for a Bank Transfer. 6) If payment is made in cash then a receipt is always provided. Can somebody phone me back? Bringing a UK mobile may be a cheap solution for you, but don't expect too many people or companies in Spain to make international phone calls to a UK mobile. I have unavoidably had to cancel - what happens next? Just contact us with an alternative date and we will re-schedule the work. Note: You must contact us and re-schedule within 14 days, otherwise the work will be regarded as a new call out. I want to order Pest Products - what do I do? 1) Fill out the contact us form with your delivery details and what you want to order. If there are time stipulations please say when you want the order delivered, and we will either send by courier or normal post. 2) We send you an IBAN Payment Ticket. 3) You pay (wire transfer) via your bank, Tablet, Mobile Phone or Laptop. 4) Once funds are cleared we dispatch to you. I want to have an Inspection - what do I do? 1) Fill out the contact us form with the address of the property you wish to be inspected. Please supply as much information about the pest problem as possible, including who will be meeting us at the property, their contact telephone number, and who (in the case of cash) the receipt should be made out to, plus also answer any questions that we may have asked you. 2) You can pay either by IBAN Payment Ticket (funds must be cleared by 4.00pm the day before)or cash on the day. Do I have to leave while the treatment is being carried out. No, just keep away from the areas being treated. Wasps swarm and get very aggressive, so keep clear is our advice. The smell of insecticides can be off putting, so let the area completely dry out (e.g. a couple of hours) with the windows open. How long will the treatment take. Generally it will take about one hour. Will it make a mess. For nearly all treatments - They do not make a mess. However for some wood treatments there will be spillage, but we bring coverings to catch any spillage. Will I have to leave the house. 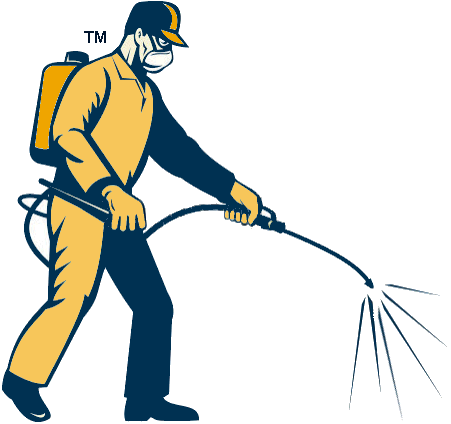 Unlike fumigation, our service is the least disruptive to the occupants. We have heard of cases where three men turn up, tell the occupants to vacate the premises and not to return for eight hours. Our treatment are designed to be effective, cause the least disruption to the occupants and continue to work until the pests are gone. Unlike fumigation, which after the smoke has cleared so has the protection. How long will it take for the treatment to work and control the pest. The time will depend on the weather, the pest, where they are and how many of them there are. 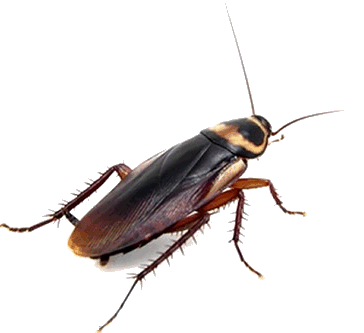 In many cases the pest has not been reported until it becomes a problem. This could be a few days to many weeks. So expecting an immediate solution after the start of the treatment is unreasonable. Will I have to do anything after the treatment. Yes. Generally Pests appear due to the lifestyle of the property owner, the access given to the property by the owner to complete strangers, the unfinished DIY jobs done by the owner or trades people or lack of prevention measures. The post treatment guidelines, if followed, should help in achieving a pest free dwelling. What if the pest controller finds the wasps are actually bees. As per the Standard terms and conditions, you will still be charged for the call out.